Give the Ultimate Gift – Brain Health for Your Friends and Family! The holidays are almost here. How are you doing with your holiday shopping? In addition to purchasing presents for family and friends, you might need to pick up something for a gift exchange at an office holiday party. Or, perhaps you donate gifts for underprivileged children each year through a charity or a toy drive at a local store or church. As you survey your holiday shopping list, you probably see lots of toys, clothes, Blu-rays and video games. You might even have a few high dollar items written down, like TVs, computers, or home entertainment systems. But does the list contain the ultimate gift for your friends and family? Can you put a price tag on health? Sadly, most Americans don’t place a premium on health until it’s jeopardized. Other than exercise equipment or a gym membership for the New Year, most people spend relatively little on health during the holidays. By contrast, we tend to spend a great deal on unhealthy foods and hobbies, such as potentially harmful video games and equipment for high-risk sports. 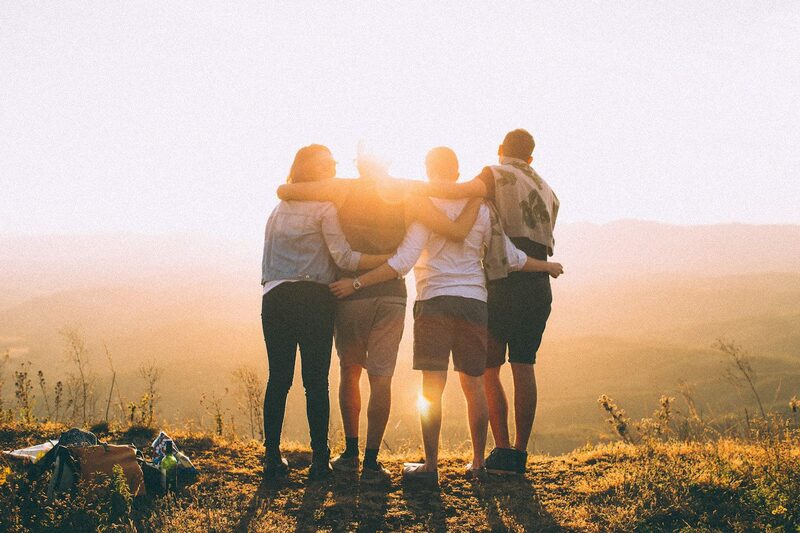 So, how can you invest in the health of those you love? It might surprise you to learn that there are many things you can do each day to improve your well-being. It also might surprise you that many of them are absolutely free! Since people tend to consume more calories during the holidays, resist the temptation to stray from your well-established diet. Before attending a gathering or party where unhealthy foods will be served, eat a brain healthy meal first. That way, you won’t feel hungry and will be less likely to eat foods that are high in fat and sugar. Always make sure you have emergency rations handy to fend off a snack attack. Eating the right foods can help you have more energy, a better mood, and more mental sharpness. Many people sacrifice quality sleep to keep up with the increased demands of the stressful holiday season. Lack of sleep often leads to illness, which makes it that much harder to accomplish everything on your to-do list. To ensure that you have the energy you need to get the most out of the holiday season, it’s recommended that you get 7-9 hours of sleep each night. 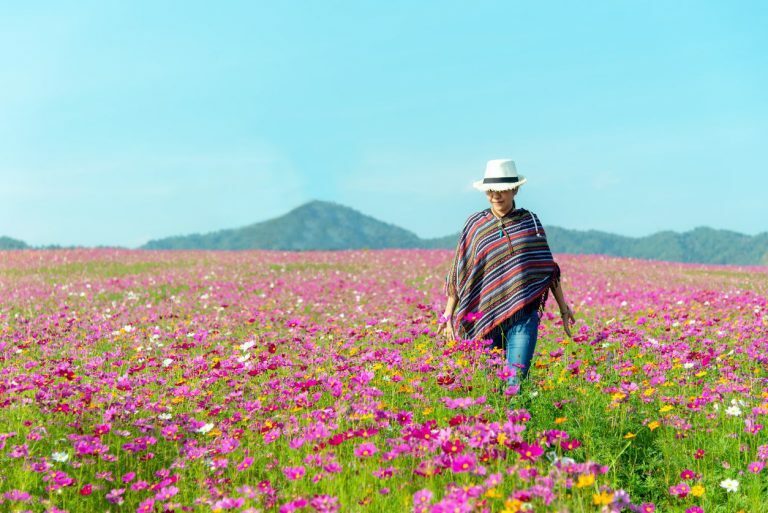 If you need a break from a movie marathon or if you just want to work off that extra slice of turkey or ham, getting outside for some fresh air can be beneficial for you both physically and mentally. Exercise can boost blood flow to deliver oxygen and other positive nutrients to the brain. Walking can help clear your mind, improve your mood and burn some calories all at the same time. The holidays can make people feel out of control and at the mercy of traditions or expectations. But you can take control of the holidays by refusing to let them control you. Say no to events and activities that aren’t making you happy or are causing holiday stress. What do stressed-out people do? Unfortunately, many of them self-medicate – with alcohol, drugs or food – which only provides temporary relief and can make stress worse in the long run. 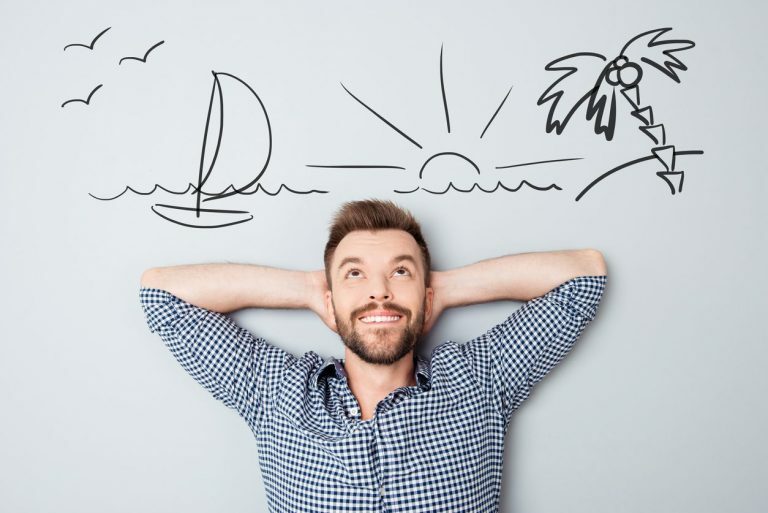 The better solution is to take brain-directed dietary supplements, such as BrainMD’s Brain & Body Power, the perfect stress support system for optimal health! Brain & Body Power is a daily supplement system that was designed for essential everyday performance. It’s a powerful daily regimen of 3 essential supplements in convenient to use packets, for memory, other crucial brain functions, and total body health. Plus, you’ll save up to $50 compared to buying them all individually! 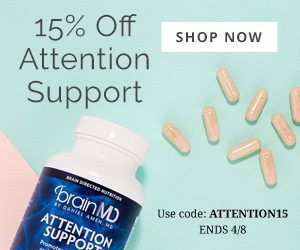 Our bestselling, brain-boosting formula provides an unparalleled mix of potent ingredients to support the brain’s energy, blood and oxygen supply, connectivity, information processing, and memory performance. This powerful combination of 50 vitamins, essential minerals, standardized plant extracts, and digestive enzymes (all in their most active forms for optimal bioavailability) is foundational to your supplement regimen. Omega-3 Power provides a high dose of omega-3 fatty acids, which is made from sustainably harvested fish stocks, and is screened for over 250 potential contaminants to ensure maximum purity. Instead of being stressed-out, sad or sleep deprived, take care of your body and mind so you can enjoy all the happiness, love and fun the holiday season has to offer. 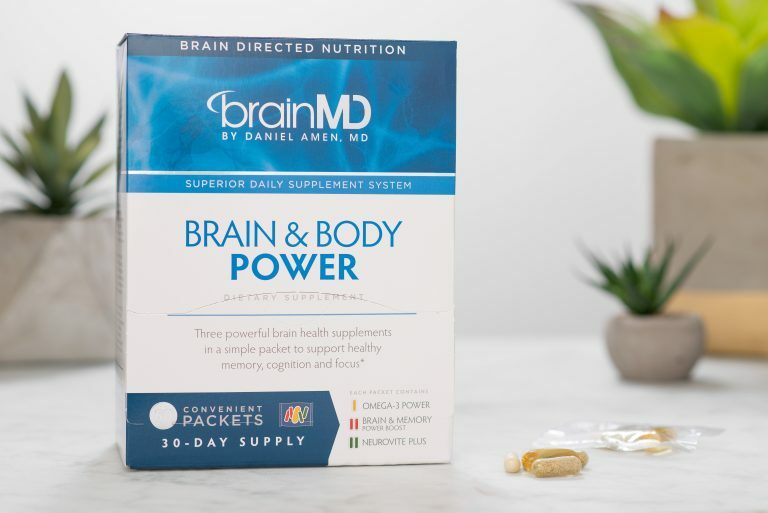 For more information about Brain & Body Power or our full catalog of brain healthy supplements, visit the online store at BrainMD.